With warmer weather and blue skies right around the corner, it’s time to hit the road or take a flight to a fabulous destination for your summer vacation; it would make packing so much smoother if you had some fabulous travel-size beauty products to take along. If you only pack travel size toiletries you would then have room for more treats and souvenirs in your luggage! Here are 10 of my favourite travel size toiletries that will fit in your bag! This facial spray is super for hydrating your skin before departing the plane and is convenient to take in your carry on bag. I used mine throughout my long flight to Japan and found it to be soothing and comforting when my skins started to feel dry. I’m a huge fan of Aveda’s botanically-based products! This convenient travel kit of minis includes 2 Shampoos and 2 Conditioners along with 2 Lotions, 2 Hand & Body Washes and 2 of their beautiful soaps. The scents are wonderful, and they are oh so luxurious! 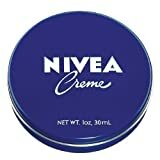 This classic cream keeps your skin soft and smooth. It’s a perfect travel size and comes in a package of 3 tubes. I love this product because it is an excellent moisturiser for all parts of the body and it was my mom’s favourite. 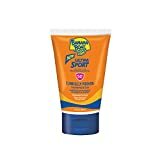 The sunscreen comes in an SPF 50, so everyone can use it on your trip. 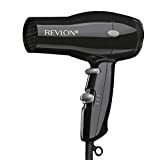 Most hotels provide you with a hairdryer in your room, but there are still times when you need to pack a compact dryer in your bag. This one packs a lot of heat and is easy to fold and store. 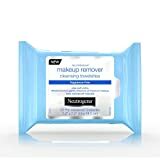 These are perfect for creating your personal travel size toiletries kit from your regular size bottles you have at home. The bonus is that they are TSA approved and come in their own small clear bag. 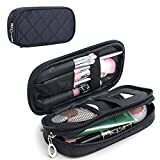 You can’t go wrong with this compact makeup bag that comes with a variety of brushes, a mirror, and individual compartments to keep you organised. Grab this refill pack and take them along in your carry on bag. With no water required, they are perfect for freshening up before you reach your destination. 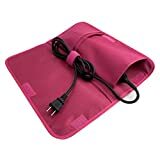 If you are a hair appliance fanatic and can’t travel without them, you’ll love this heat-resistant thermal pouch because it’s so easy to use to store your hair straightener or curling iron. TIP: if you are travelling via cruise ship – make sure you read the fine print because most flat irons aren’t allowed on cruise ships. This hanging bag is a must have to store all of your travel size toiletries right in the bathroom for easy access. With separate compartments for makeup, deodorant, etc. 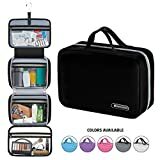 it will keep you organized and neat and tidy, especially when space is limited such as on a cruise ship or if you are freshening up inside a teeny tiny airplane restroom. I love how compact it is and folds up nicely to fit inside any suitcase. Do you have any favourites travel size products? Let us know in the comments below.